Celina is using Smore newsletters to spread the word online. 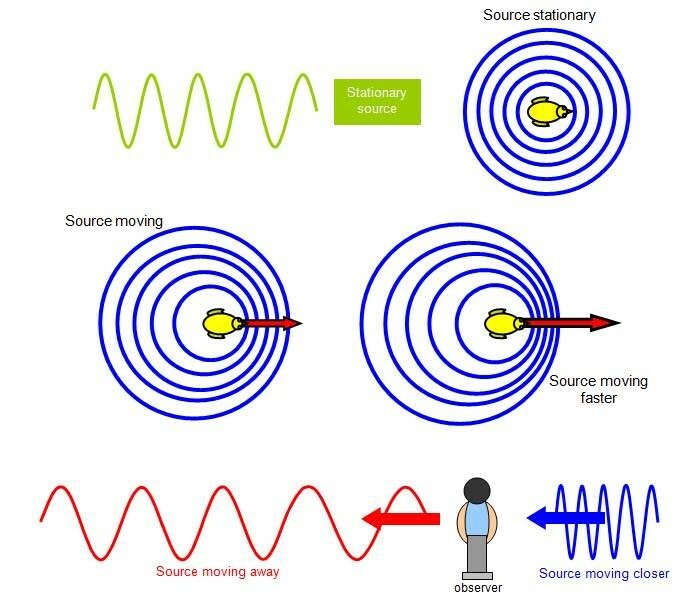 The Doppler Effect is the change in frequency that occurs when a source is moving relative to an observer. 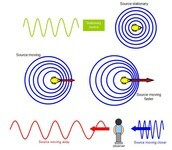 Source moving toward blue, the wavelength is decreasing and the frequency is increasing. Source moving toward red, the wavelength is increasing and the frequency is decreasing. The first picture shows an object at rest, the second is an object moving. 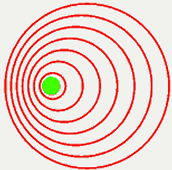 The closer it is the higher the frequency, The farther it is the lower the frequency.